Toronto : Key Porter Books, c1998. 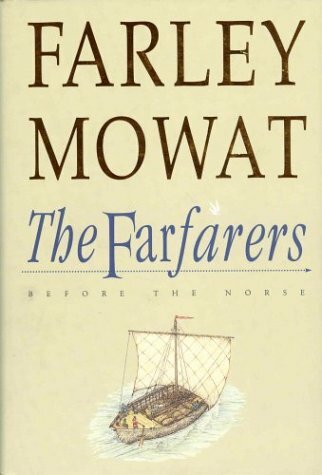 In this bestseller, Farley Mowat challenges the conventional notion that the Vikings were the first Europeans to reach North America, offering an unforgettable portrait of the Albans, a race originating from the island now known as Britain. Battered by repeated invasions from their aggressive neighbors?Celt, Roman, and Norse?the Albans fled west. Their search for safety, and for the massive walrus herds on which their survival depended, eventually took them to the land now known as Newfoundland and Labrador. Skillfully weaving together clues gathered from forty years of research, Mowat presents a fascinating account of a forgotten history.